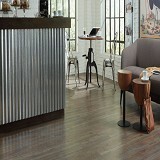 Buy Palmetto Road Waterproof WPC Flooring and Save 30 to 60%! Buy Palmetto Road Waterproof Flooring and Save 30 to 60%! Palmetto Road Tidewater WPC has the Durability, Design and Easy Installation flooring that you need! The Tidewater Luxury Vinyl Collection is the perfect combination of beauty and practicality. The 100% waterproof 5mm core makes this collection a high performing hard surface with a 12 mil Urethane Ceramic Bead Wear Layer and 2mm resilient LVT top Layer while the stunning reclaimed wood visuals compliment contemporary home design. Palmetto Road Tidewater WPC Waterproof Flooring is The perfect floor for imperfect places. 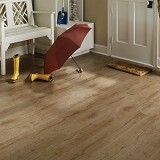 The Tidewater collection LVP waterproof flooring is easy to maintain and has superior stain resistance. It is ideal for bathrooms, basements, laundry rooms, or any room where life gets a little messy. Buy Palmetto Road Tidewater WPC today at American Carpet Wholesalers for 30-60% savings!